Communities - What They Provide for Us - A lesson on goods and services. Doing Our Jobs - Students learn rules to be followed and jobs to be done in the classroom. 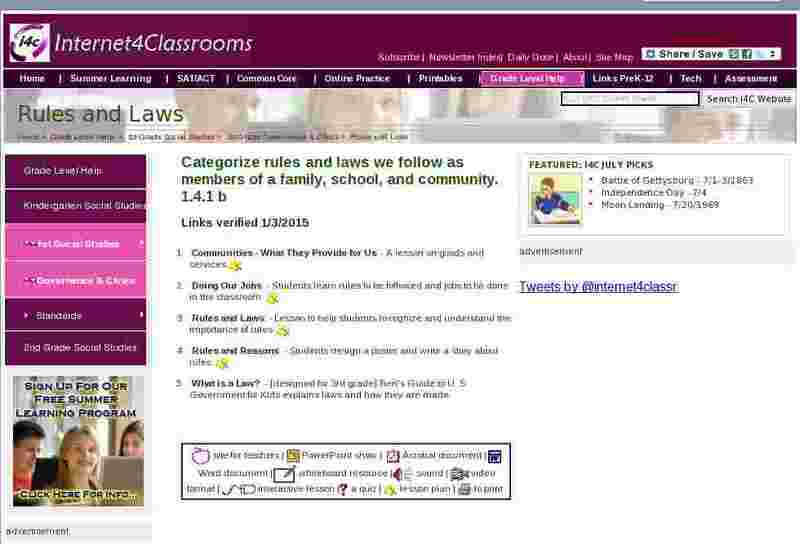 Rules and Laws - Lesson to help students recognize and understand the importance of rules. Rules and Reasons - Students design a poster and write a story about rules. What is a Law? - [designed for 3rd grade] Ben's Guide to U. S. Government for Kids explains laws and how they are made.